Following on from the huge success that was the Nekopara OVA kickstarter, comes a short prequel OVA and Visual Novel which follows the events at the Minaduki household before La Soleil opened and before many of the Minaduki catgirls came of age. 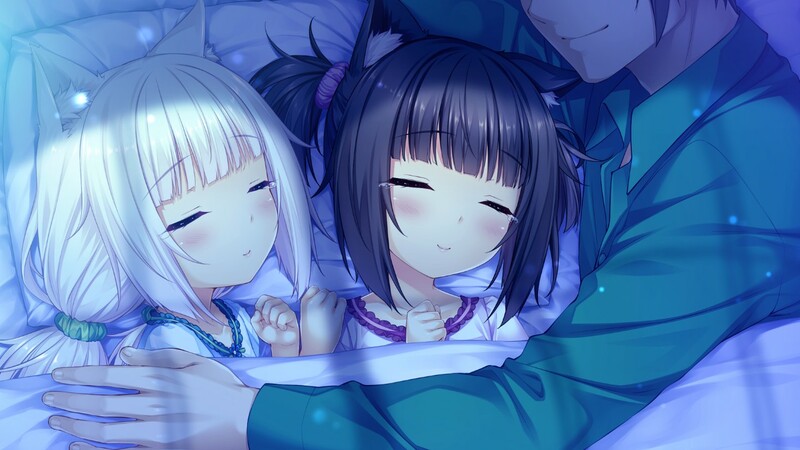 Unlike many of the other visual novels, with the exception of Episode 0, Nekopara Extra is pure, unadulterated cuteness and contains not even a morsel of the catgirl naughtiness which has defined the series thus far and for obvious reasons! You see, Nekopara Extra, is all about the kittens. Before Chocola and Vanilla arrived in the box at La Soleil, they were brought into the Minaduki household. Both too young to understand the world at large, the two kitten siblings found themselves surrounded by four other older catgirls in a strange environment. Given the intensity of the situation, they were scared, trembling and very quiet. They were welcomed in with love, affection and open arms from the rest of the girls and the tiny Chocola and Vanilla found themselves surrounded with a family. As time passed, you see them gain more confidence in their surroundings and with this confidence comes the strong personalities that we have come to adore in the previous visual novels and anime and with this confidence, comes their bond with Kashou, their new “master”. While Chocola and Vanilla remain the centre of the story, the true stars are the rest of the catty cast. The young Cinnamon, for me, is one of the highlights as she doesn’t quite have the filters which she gains in Volume 3, but she is just completely open, pervy and permanently in an odd state of heat. Similarly, Maple is recognisable but she has yet to develop the suave veneer which she has curated by the end of Volume 3. And then there is Coconut. Coconut is smaller than Azuki. She is a small, hungry kitten, who just adores her big sister Azuki, but by the time we reach the end of Extra, the munchkin cat has had time to develop her jealousy as Coconut grows like a beanstalk both in the chest and with her height! While not wanting to spoil anything, I won’t go into details of the story, but there are scenes in both the visual novel and the new OVA which both force out the tears. 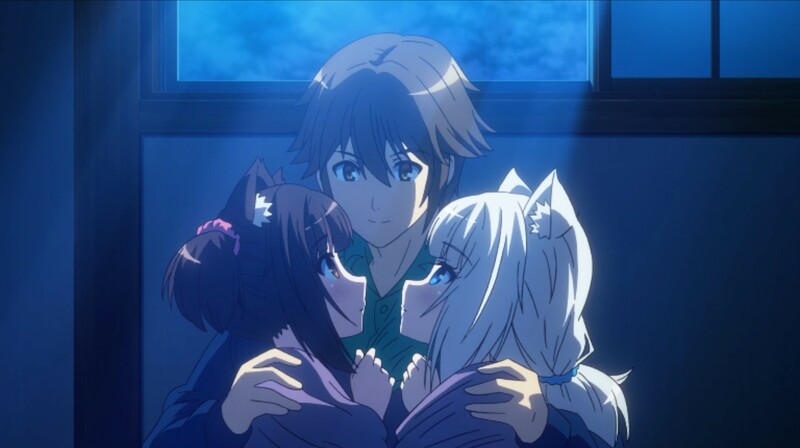 The history of Chocola and Vanilla’s devotion to Kashou isn’t really explored much in the visual novels, but in the Extra OVA you finally learn that they are both rescued from abandonment by Kashou and the Minaduki family, and they just want to have someone to give them affection. 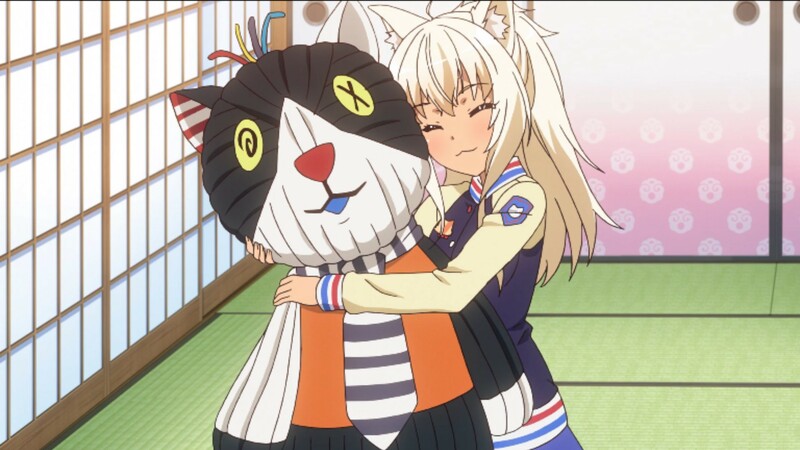 It’s really quite adorable and as a cat owner who has a cat that happens to… wet herself when excited or happy, it’s very amusing to see that this has also carried over into both the visual novel and this new OVA. If you have experienced the other games, and the Nekopara OVA, then you will know exactly what to expect from the visual novel and the video. At the time of writing, both are available on the Steam platform, with the OVA only available as a standalone extra to the visual novel and playable through the Steam program. Both the visual novel and the OVA come in a myriad of languages, at full HD though I will inform you now that the Steam video player doesn’t upscale to 4K at all well without lots of jagged edges. Maybe something for them to work on! If you love your catgirls and especially the six cuties of the Minaduki family, then it’s time to indulge in Nekopara Extra! An Extra helping of the adorable catgirl family!